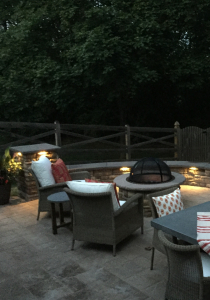 Outdoor living areas become more secure and beautiful when illuminated. Columns are a popular decorative feature and it only makes sense to use lighting to highlight them in the dark and make them shine. 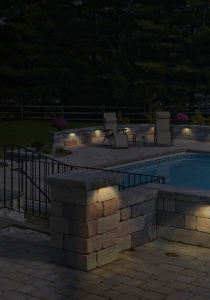 Lighting your columns at entryways and walkways or around pools and decks offers a simple source of safety during the evening hours. Typical top-of-column fixtures have little glare control and often become obtrusive when lit. Integral Lighting fixtures are inherently designed to control glare while creating a soft illumination. They are the perfect solution for brick or stone columns, as well as retaining walls, steps and sitting areas. 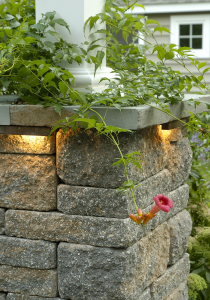 Our American Made fixtures are constructed of durable components, ensuring they last the lifetime of your hardscape. 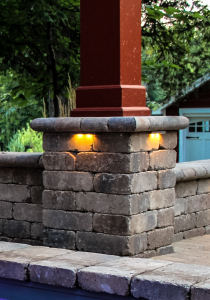 View our Installation Gallery for ideas and inspiration to light your columns.